Our Baptisms and Baptism classes are conducted every other month. The child’s Baptism can occur during one of the parish Masses (preferred), or can be conducted at a public ceremony after one of the Masses. For a child to be baptized in the Catholic Church, there must be a basis for hope that the child will be raised in the Catholic faith. In practice, this generally means that at least one parent is Catholic. 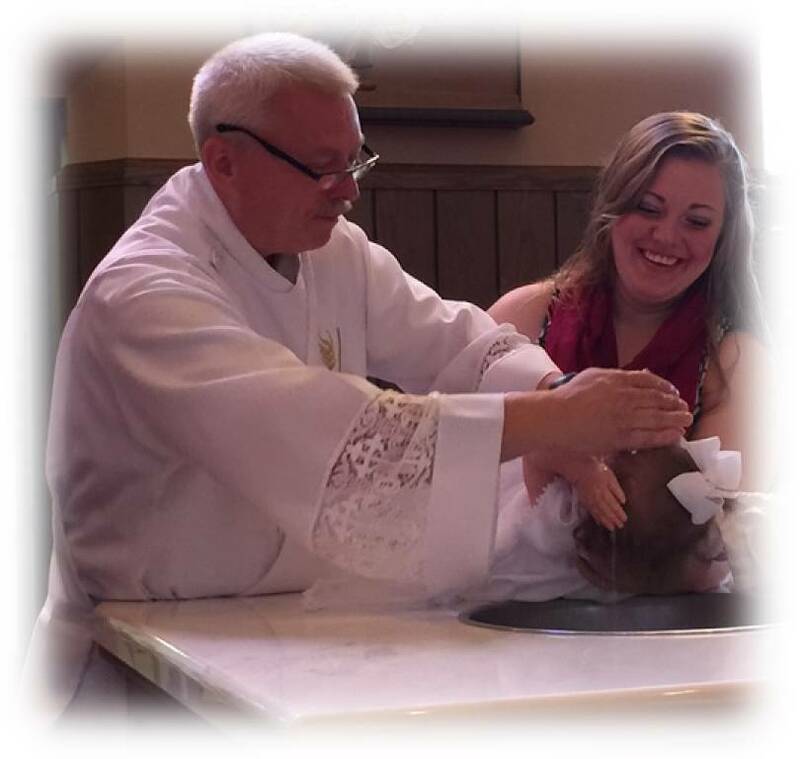 Like many dioceses in the United States, our Diocese requires parents to participate in Baptism preparation before the baptism of their children. The child may be up to six years old for a traditional baptism to occur. At age 7 and older, Canon law requires baptism to be followed by Confirmation and Eucharist. The parish staff can help you with this. What about single parents or parents who weren't married in the church? St. Joseph welcomes every parent to bring your child forward for baptism, no matter what your circumstances may be. Again, there must be the hope that the child will be raised in the Faith. This means attending religious education classes and receiving Eucharist and Confirmation at the appropriate times and ages. A person may only have one or two godparents (also called sponsors); if two are chosen, they must be male and female. They cannot the father nor the mother of the child. Why must we attend baptism classes? We provide baptism preparation sessions at regular intervals for parents having their first child baptized. Parents are welcome to participate with subsequent children. During the baptism ceremony, parents and god parents make solemn promises about how they will raise and train their child. Our baptism preparation classes are designed to help parents of children to be baptized understand the sacrament both from a spiritual and practical sense. We will discuss the theology of the sacrament of baptism, as well as practical aspects of the ceremony itself. Please contact the parish office for a booklet outlining the Baptism Policies and Procedures.